Glass and stone mosaic sample for your bathroom or kitchen model metallic brique rouge. For 0,99€ only, buy and receive a sample. You want to remake your shower, kitchen or bathroom? 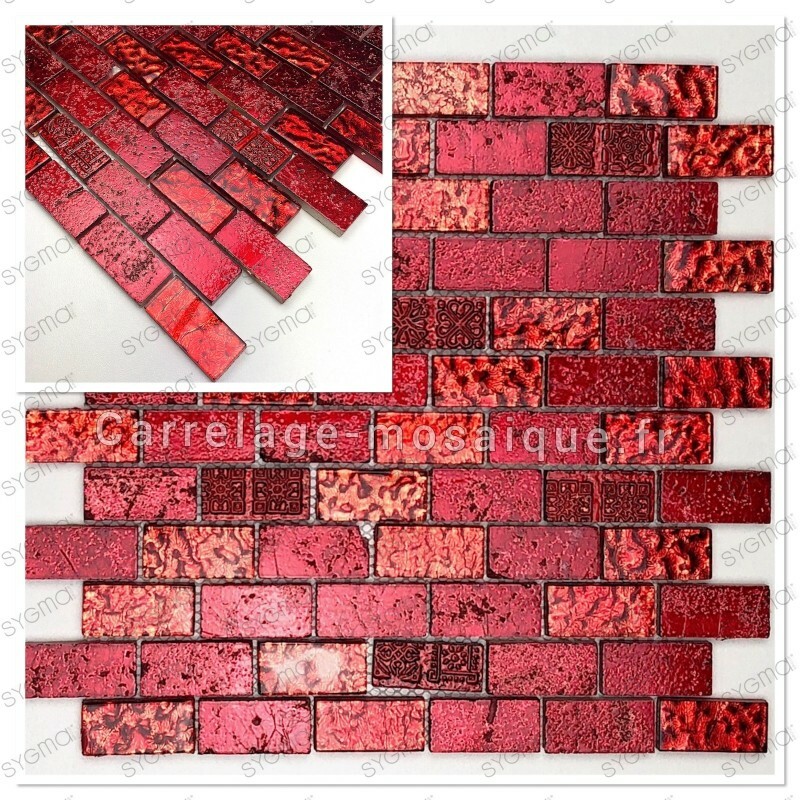 You can buy a sample of glass mosaic for start your project.